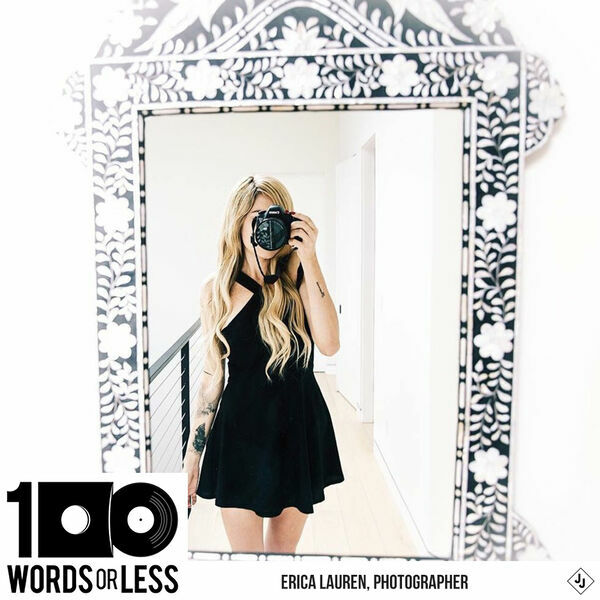 Episode 304 - This entire month is dedicated to focusing on the incredible women that make up this rad independent music scene and first up, is Erica Lauren who is a photographer extraordinaire. We discuss her upbringing in the Los Angeles area, punk rock and of course we get in depth with photography and her rad traveling photo exhibition called To The Front. Listen and learn! Get THE BEST coffee with Bones Coffee and use the code 100WORDS for 20% off your entire order. This stuff is THE BEST.